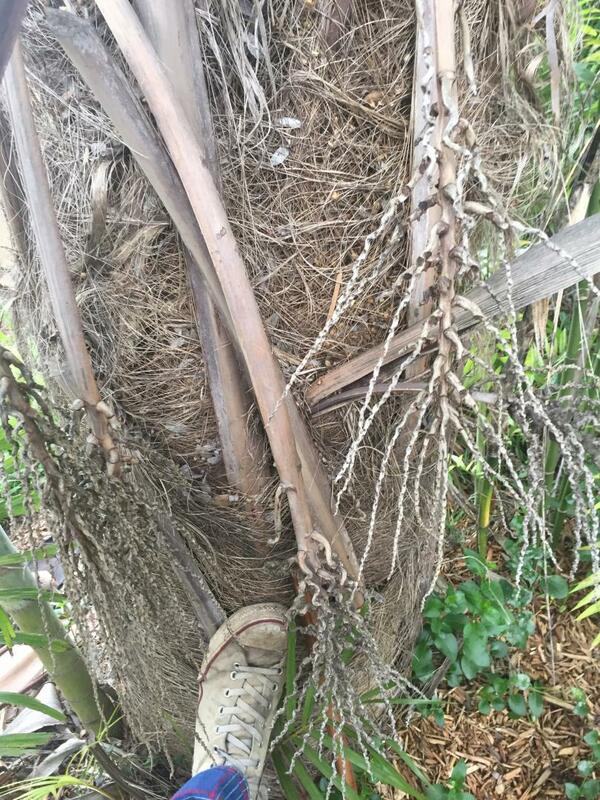 Just thought I'd share a photo of my Parajubaea sunkha from this morning. Happy Wednesday. Awesome! How old and how much are you watering? I have one growing that still is a juvenile and has yet to go pinnate. Hard for me to say, since we're still exploring with this species. Let us know, and add to our database. I actually acquired and planted it last October. I only watered it to settle it in, the rest has all been rainfall. I don't know what these are like as seedlings, unfortunately. Sunkha on the right by garage, torallyi to its left both planted the same time and same size (1 gallon) about ten years ago. Sorry for the fuzzy shot but resizing it messed it up. gorgeous, thanks for sharing. It's one that apparently exists in New Zealand but haven't seen it. 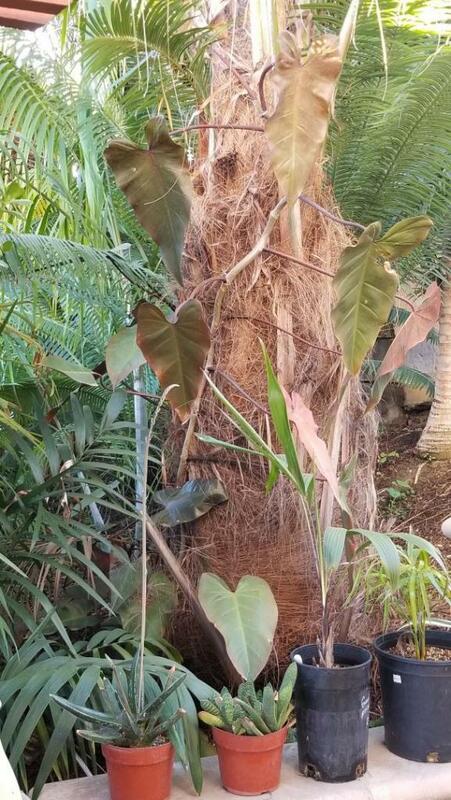 Do have Cocoides, Torallyi and Microcarpa though. Love 'em all. Jim! You outta share more pics of yours! Those look perfectly grown. 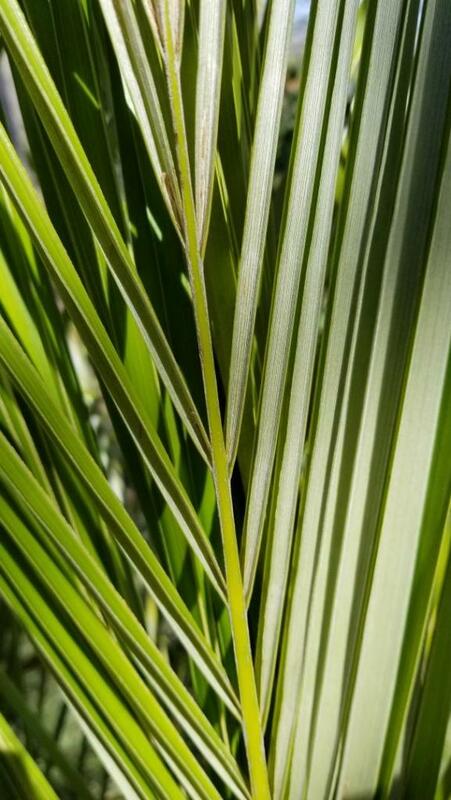 One of my favorite palms in my garden. Not a fast grower but steady. With all the rain we had this winter I haven't watered in months. I'll share a pic of mine this morning. Not the best shot. Is it me, or is the sunkha more coppery colored than the others parajubaeas? They actually have a silvery underside to the leaves but the top is green. The others are definitely darker green but I think it also depends on growing conditions. 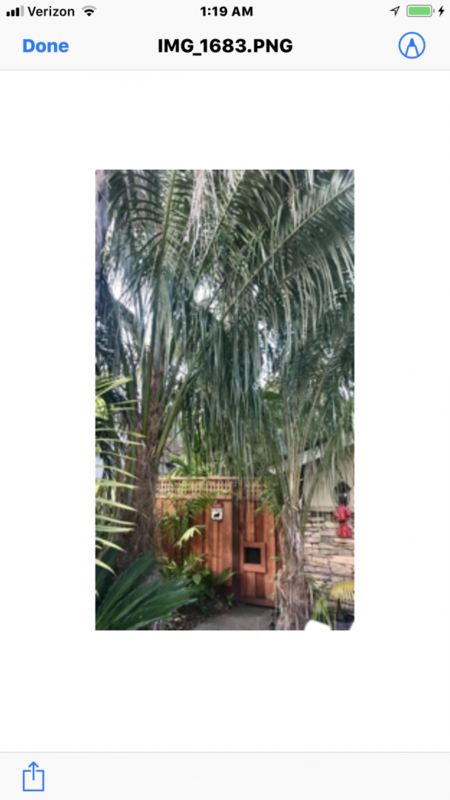 I have a 4 butia x parajubaea. I would like to know what growing conditions gives a dark green color. Im guessing general overall health? Well nourished? Well watered? I find that my palms tend to love liberal amounts of pelletised chicken manure. If you can't find that very well aged stuff will do, or compost fresh stuff with grass clippings and let it age before applying. Watering them in summer is one of the surest ways to kill them. I lose them every year when I lose my mind and do that. I need to stop! I water mine every 3 days from spring to autumn for 30 minutes and they're deep green and loving it. At least in California, everyone I talk to (even very, very, very experienced growers) warns against watering. Perhaps it's our clay soil - but I will never water again in summer (specifically) when the heat is up. Not sure what the weather is like in Albany, but our summer days are always over 90F. Death. Hmmm... maybe that's why I lost my small, potted P. sunkha years ago? 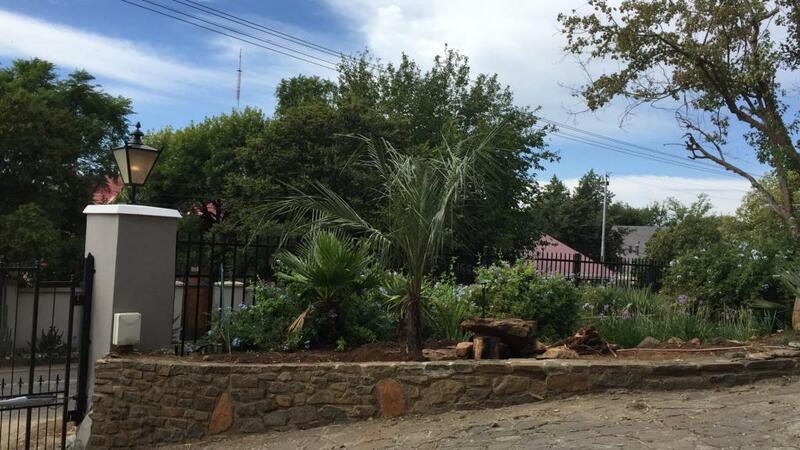 Perhaps watering it in hot weather could have activated soil pathogens? I'm conflicted about watering now though... since I have a P. tor tor and a P. microcarpa, both in-ground (sandy clay over hardpan), that I water 2-3 times each week in the summer, heatwave or otherwise. They're doing fine... for now. Maybe I'd better back off on the watering this year and just monitor them for any signs of drought-stress? Definitely suggest caution in high heat. 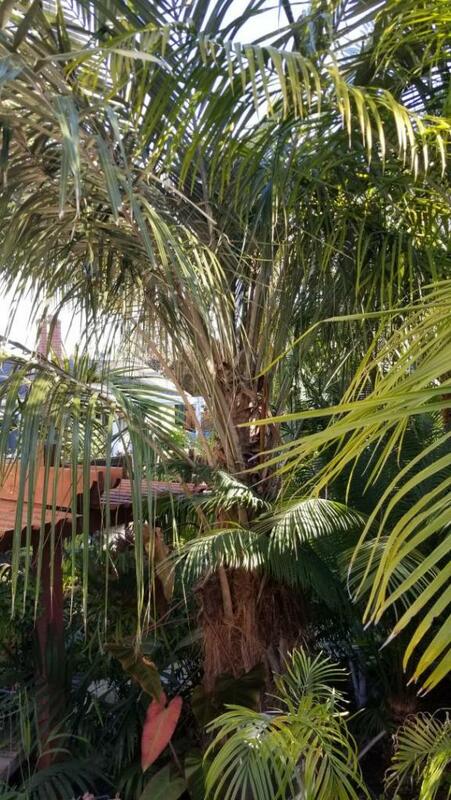 I have lost 5+ large plants after watering in height of summer, and I was just visiting Joe Dombrowski in SD a couple weeks back and he told me of losing a massive plant immediately after watering last summer. These are notorious for collapsing after irrigation in high heat. Quite finicky if you get very hot. I guess my climate, which is cooler than Ben’s in the summer, allows mine to be watered three times per week for the past 16 years without a problem. 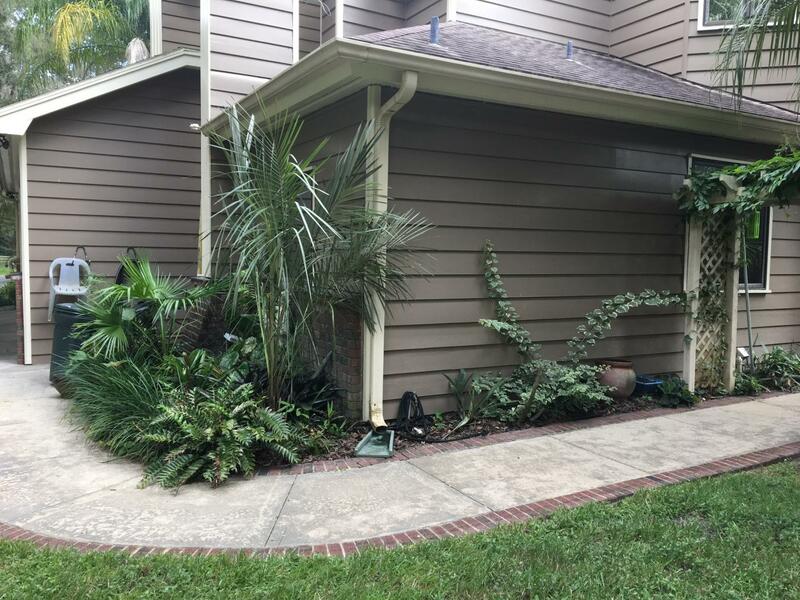 One thing I have noticed though is that one of my 15 year old torallyi that’s planted right at the asphalt street and stone and concrete driveway has much shorter fronds than the ones away from that reflective and radiant heat. It’s trunk base is massive at nearly 3 feet in diameter but tapers in much more towards its canopy than the others who’s trunks are more uniform in width. You also have loamier/much better soil than me, Jim. My hypothesis is that it's related to extreme heat and my pure clay, neither of which you really have to contend with! Anyway, my sample size is small, but significant enough for me (not statistically significant, obviously) that I think there is something to it. Conversations with Joe D. (Palma) and Patric S. are other data points for me that suggest this genus is not a fan of water in very high temps. Anyway, everyone should take this for what it is - just the limited experience of one very crappy grower in Norcal! Ben, your growing skills are not 'crappy', and your palms are great. Your only problem is a common one, too many plants ! True dat, Darold! Good thing I kill some to make space for the newest ones! Ben: I'll take your advice. 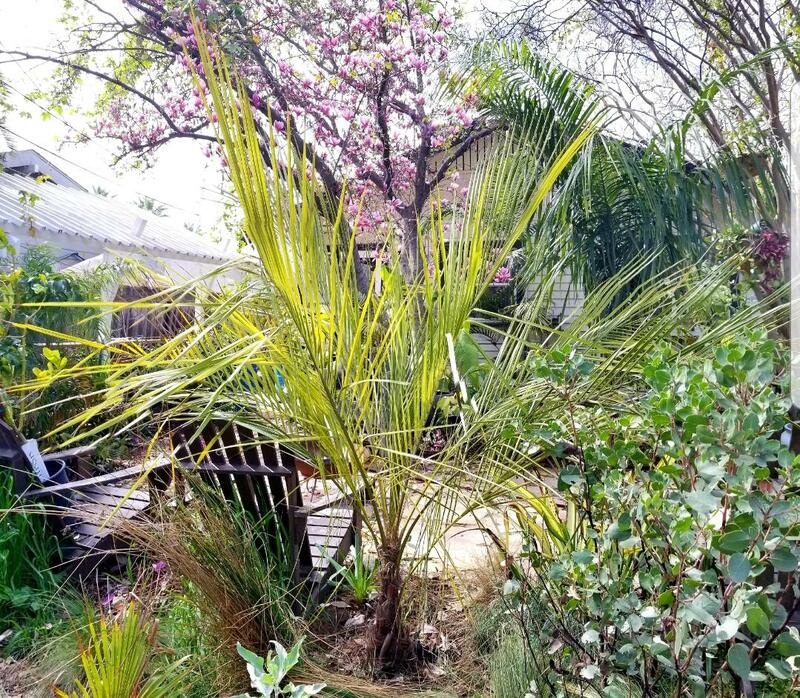 I have no problem withholding water from some established palms in my garden, as a matter of both general resource conservation as well as horticultural best practices! After all, these species are 'visitors' (i.e., not native) and should be treated with respect as 'guests' in the garden. Ben, You’re an awesome grower! Don’t be hard on yourself. True that I have loam soil, at least two feet or so down anyway. After that, it’s pure Santa Clara Valley yellow clay with some rock. 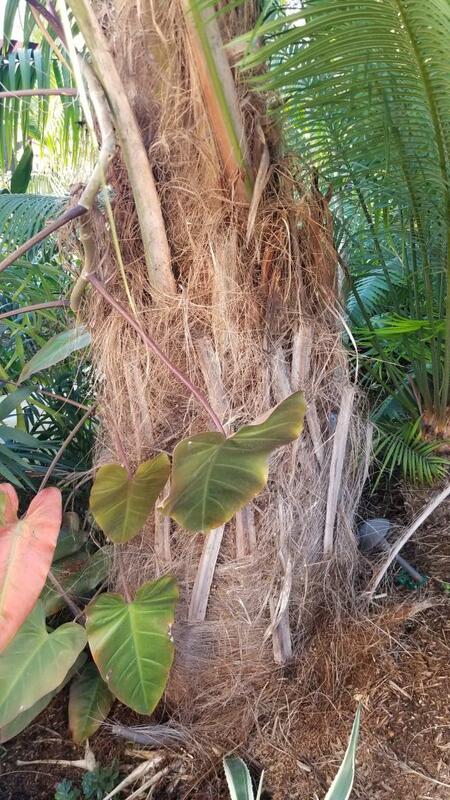 My Parajubaea share space with water loving palms like Archontophoenix so they’re roots are always on the wet side all year. We don't get consistent high summer heat. February is our warmest month and my maximums this year averaged 24.5C or 76F. Nights are generally cool and almost always below 20C 68F. I've got all 4 species but my sunkhas have been in the ground 5 years and are an easy grow along with all the other Parajubaeas I've got going. Our soil is a mix of clay and peat and the planting holes were heavily amended with organic matter. Like I said before I water them 3 times a week with a deep soak and they're dark green and happy. I'll get some pics today. I think the sudden death syndrome in So Cal is a climate thing though. Like most mountain palms they must have an issue with baking high temps. Also in winter my torallyi's sit in what at times can be very wet soil, even though they are on a slope. I had to dig drainage trenches past them one year and they ran like streams for months. ﻿﻿ I think the sudden death syndrome in So Cal is a climate thing thoug﻿h. 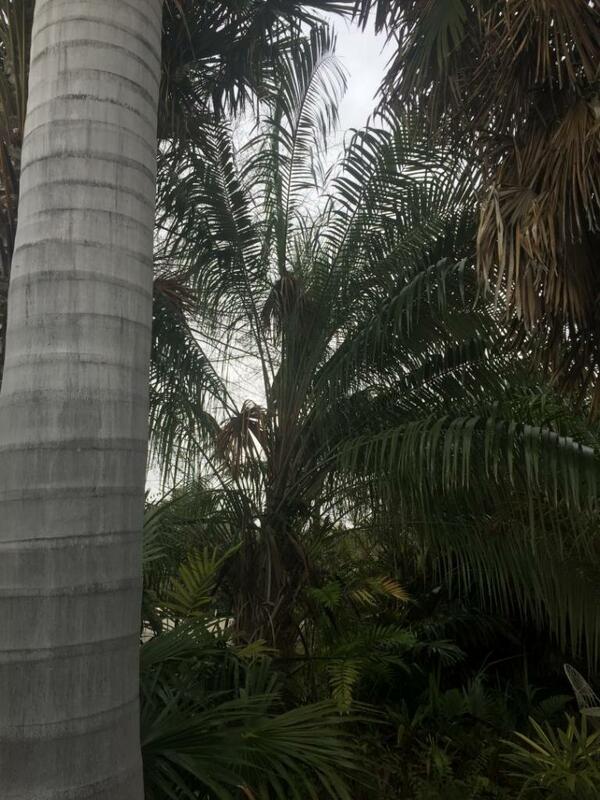 Like most mountain palms they must have an issue with baking high temps. ﻿ Also in winter my torallyi's sit in what at times can be very wet soil, even though they are on a slope. 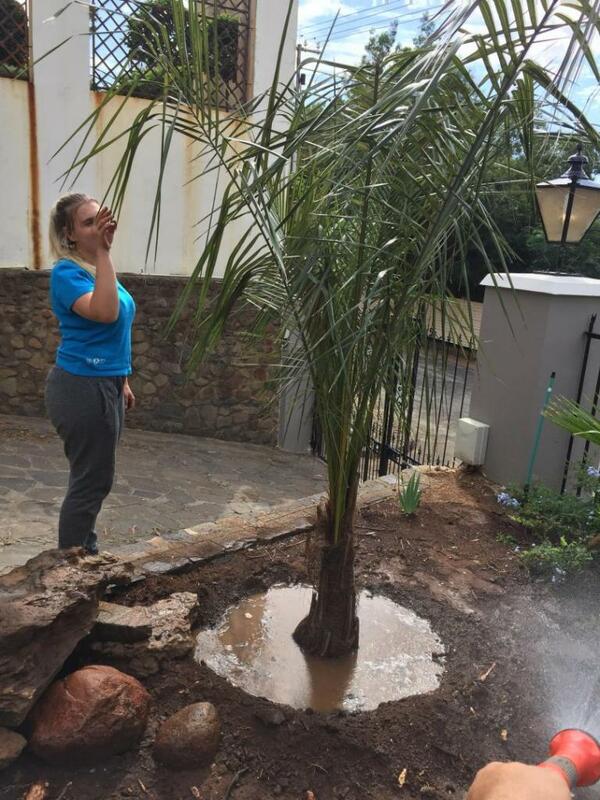 I had to dig drainage trenches past them one year and they ran like streams for months. I have so many sunkhas in pots (15g) that I don't know what to do with - not much of a market for them here. Dave, I told you about this once before, WRONG SHOES! Drainage seems to be key in high heat areas. Also, I've been advised to mulch heavily to keep the root zone cool. 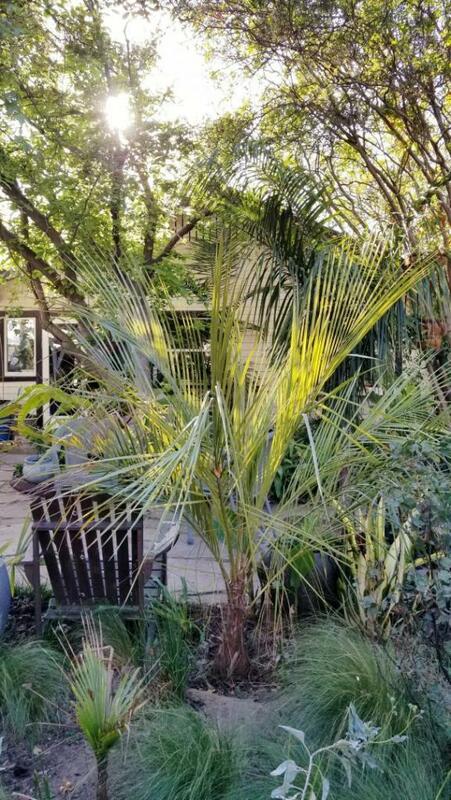 My Parajubaea sunkha about 2.5m tall. one more photo. sorry, can't help myself! for what it's worth, Neil in Sacramento advises to mulch heavily to keep the root zone cool in summer. This should prevent the sudden death we fear w this species. Love how these stay more upright than the other Parajubaea species. I just put another sunkha in the ground - basically only planting this species now with a bunch of the larger ones in the ground. Gonna do my best to mulch all of them, and keep on the drier side this summer...fingers crossed! One day I am probably going to regret where I planted my last surviving sunkha. Way too close to my electrical service lines. Just a suggestion.... what about reflective waterproof insulation around the base during summer kind of shaped like a Christmas tree skirt. 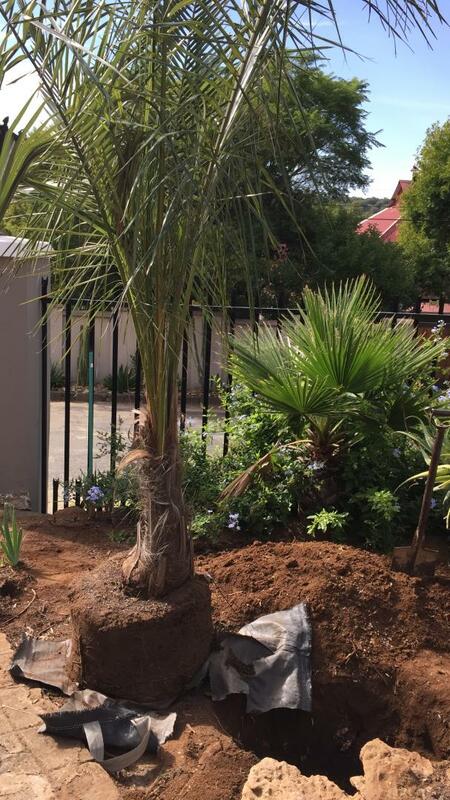 I have just planted my first new Parajubaea sunkha. I hope that it will do well in its new spot. 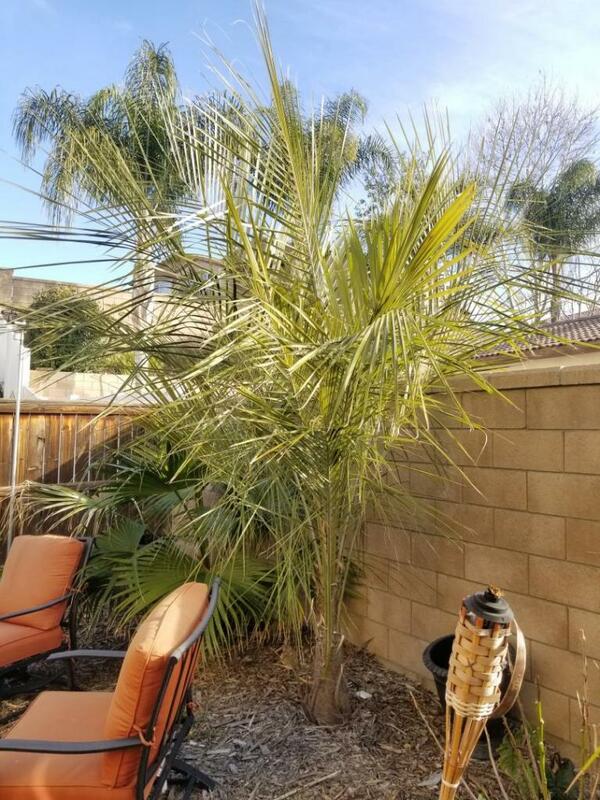 My favorite Parajubaea! This Sunka trunk is starting to get fat. The plant is now towering over my patio cover. I am trying some climbing plants on the trunk, which seem to be taking.